Yesterday was Becky’s birthday and I knew I wanted to get her something handmade this year. 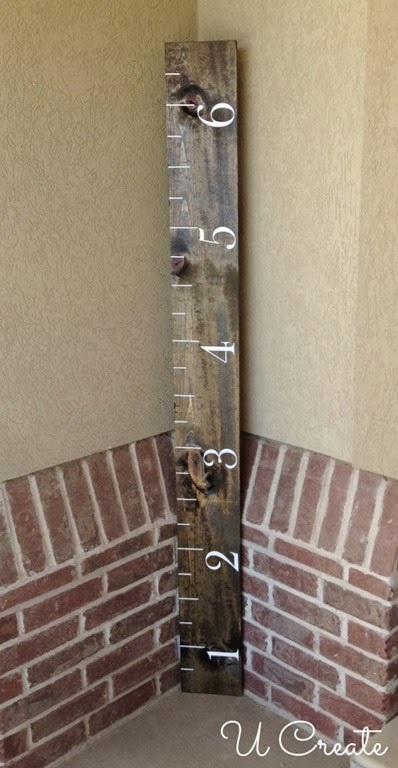 So…I went to her Pinterest boards (by the way here’s a TIP: going to somebody’s Pinterest boards is a great way to see exactly what they want), and knew I wanted to make her a growth chart. 1. Stain or paint your board. I stained Becky’s using Minwax Wood Finish in color Jacobean. 3. 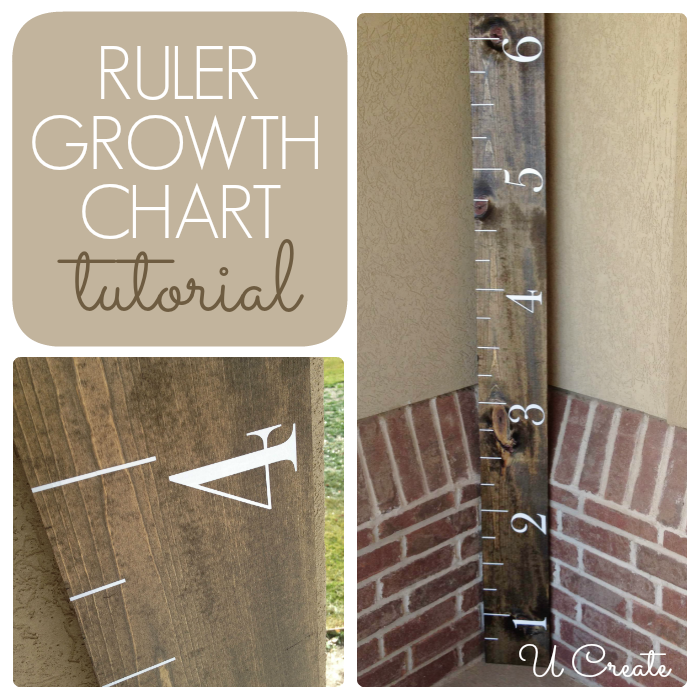 Grab your ruler to measure where you want the lines to go on your growth chart. 4. 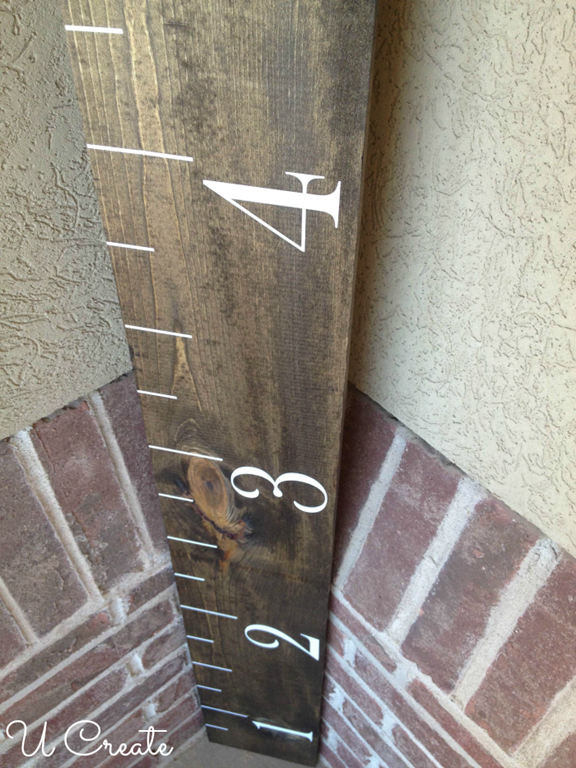 Add vinyl numbers and lines….and you have a great gift! Thanks Mique, it’s my favorite way to see what somebody wants!! That is awesome!! What a great idea! Thanks Jen! I love giving handmade!! So sweet of you to do this for her… Love it! Yes, we send it to you pre-cut and ready to go! So fun! I’ve always wanted to make one of these. Thanks for sharing! You should! Super easy! The hardest part? Waiting for the paint to dry – lol! LOVE this – I definitely want to make one for the kids!! The kids love seeing how much they grow, too!! Thanks Krysten! I am secure in my Man Hood ! All gone. Do u think they’ll be more to order? Hi Mary, we have just updated the post and the kits are available this week only! How can I buy the vinyl for the growth chart? The link in the post doesn’t seem to be working. Hi Lindsey, we have just updated the post and the kits are available this week only! Hi Kari! 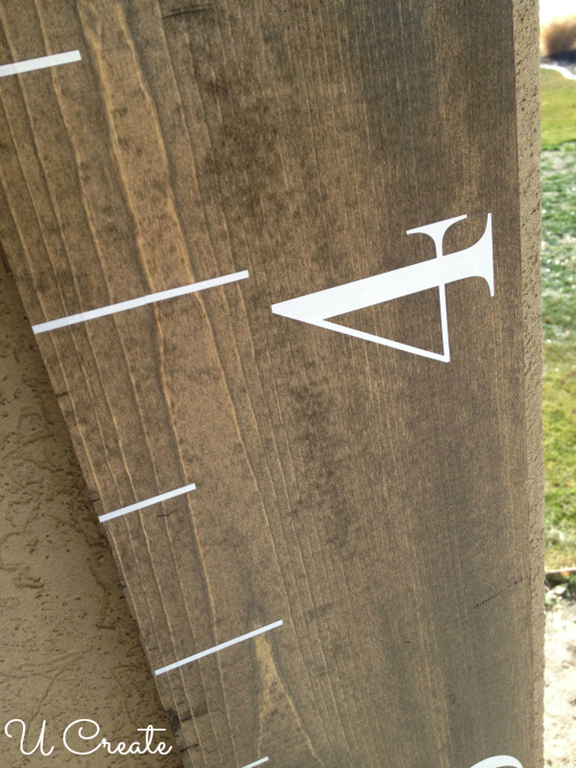 If I am wanting to get your vinyl kit for the growth chart do I get that from you or where can I get that from? It doesn’t seem to have the link for it anymore. Thanks for asking! We’ve just updated the post and the kits are available this week only! We were bombarded with orders and are a little behind. Your order will ship first thing Monday. Thanks so much! Are the kits still available???? LOVE this! !